Description Of Item: The Bullfrog ODSTs encountered in New Alexandria were characterized by their use of UNSC jetpacks. 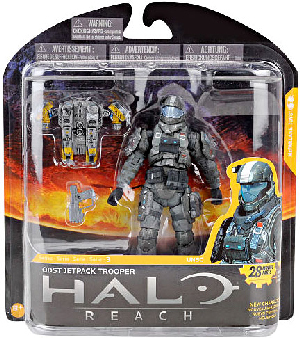 This figure is based on the Halo: Reach ODSTs early design, emphasizing their affiliation with UNSC Army Troopers. Figure comes with Jetpack and Magnum.